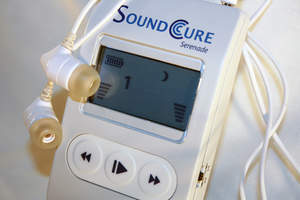 SAN JOSE, CA--(Marketwired - Mar 24, 2014) - SoundCure®, provider of the Serenade® tinnitus treatment device, has been listed in the Hearing Review "Best of 2013" issue. All organizations included in this annual "Best of" listing have been nominated by a peer in the hearing industry and are considered exemplary hearing care resources. SoundCure introduced Serenade in March 2012 and rapidly gained interest from hearing healthcare providers looking for effective ways to help those suffering from tinnitus, or "ringing in the ears." Today, hundreds of hearing healthcare practices in the U.S. and U.K. provide this sound therapy approach. Serenade offers multiple treatment sounds including proprietary S-Tones®, which are designed to be listened to at a volume that is lower than the patient's tinnitus, and significantly lower than traditional masking sounds. 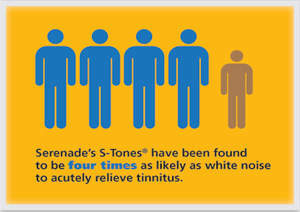 Tinnitus, or "ringing ears", affects approximately 1 in 10 adults, some so severely that they are extremely debilitated. The Department of Veterans Affairs (VA) also provides Serenade, as many veterans suffer from service-related tinnitus. SoundCure CEO Bill Perry states, "SoundCure works hard to serve patients and hearing healthcare providers regarding tinnitus care, and we are pleased to be recognized as a top resource and professional organization." The Hearing Review is known as a leading monthly trade magazine for the hearing healthcare industry, reaching over 48,000 professionals each month. SoundCure, Inc. is a privately held medical device company whose mission is to revolutionize the treatment of tinnitus and provide relief to the millions of people suffering its effects. SoundCure is an Allied Minds company. www.soundcure.com. Allied Minds is a dedicated technology company that deploys capital to form, fund, manage and build companies based on market-creating technologies developed at renowned U.S. universities and federal research institutions. Allied Minds serves as a diversified holding company that supports its businesses with capital, management and shared services. More information about the Boston-based company can be found at www.alliedminds.com. About this company SoundCure, Inc. The SoundCure Story - 2 min.